Welcome to the Quad Squad. Originally formed to raise the money needed to make the Quad a reality, the name is now being carried across to represent the volunteer body that comes together to work on events and behind the scenes in Lismore’s exciting new cultural precinct. We would love to hear from people who are interested in learning skills in placemaking and events and generally throwing their hat in the ring to make great things happen. Applicants should be ready to work outside and be on their feet for long stretches of time, have an open mind and be willing to learn! Volunteering at the Quad is powered by Live Ideas - connecting Southern Cross University with the community. Click here to register your interest. 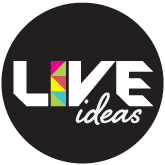 Live Ideas offers Southern Cross University students, staff and members of the Northern Rivers community an opportunity to be a part of the activation of the Quad as Lismore's creative playground. For more information, visit www.liveideas.org.au.